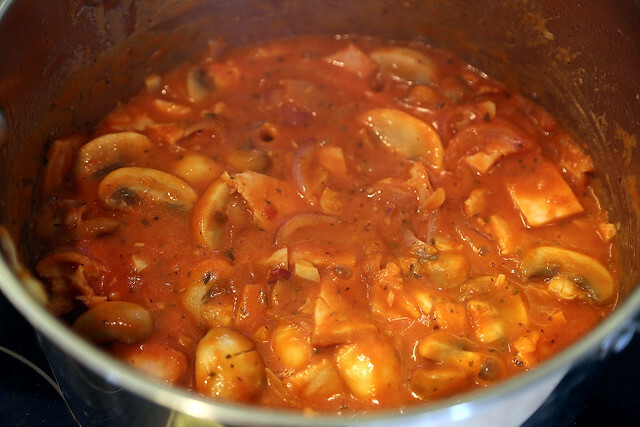 The ingredients are simple - mainly turkey breast and mushrooms, onions and garlic, pasta and pasta tomato sauce, cream and olive oil. You can actually freely experiment with other ingredients. I'm thinking chorizo and spinach next time. 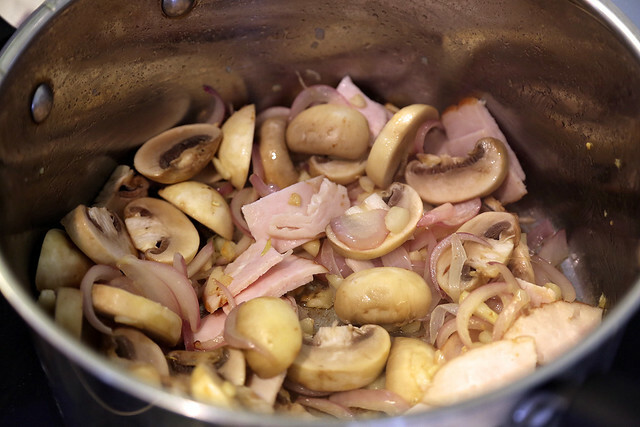 Saute onion and garlic in olive oil, and toss in turkey and mushroom slices. 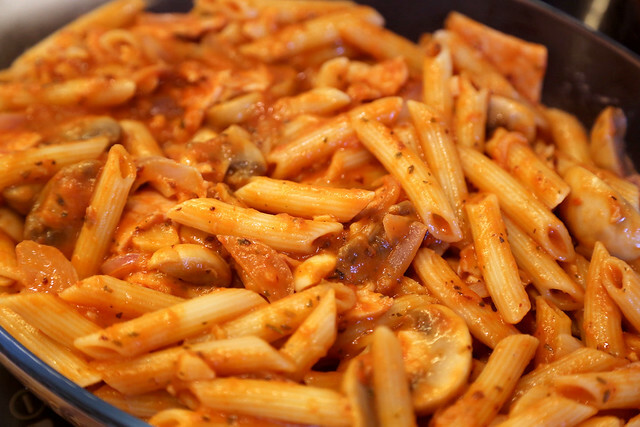 Pour in tomato sauce and cream. 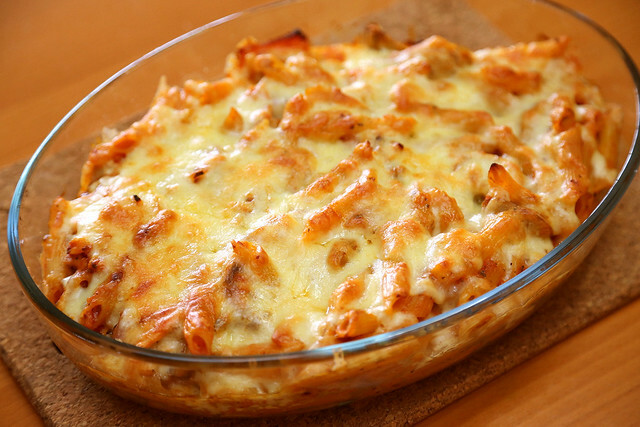 Transfer pasta to a baking dish. 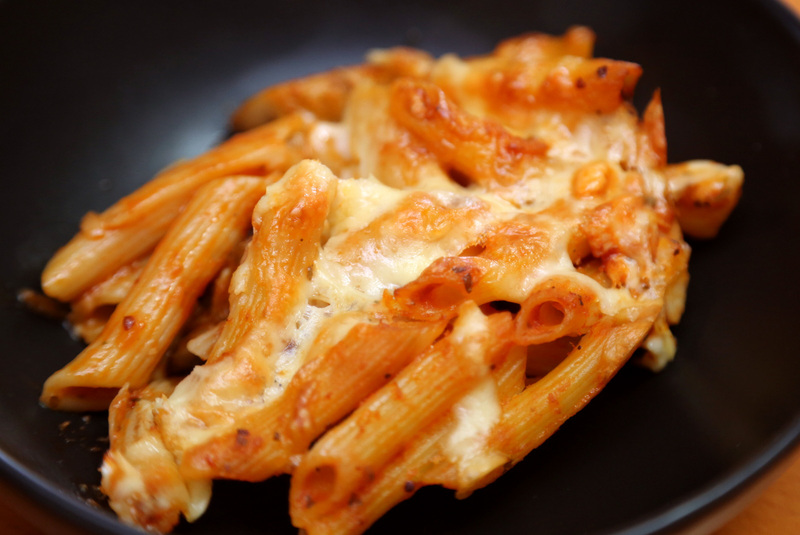 Liberally top the pasta with the Perfect Italiano Perfect Bakes cheese. Bake in the oven at 180 deg C for about 20 mins or until golden brown, depending on your oven. 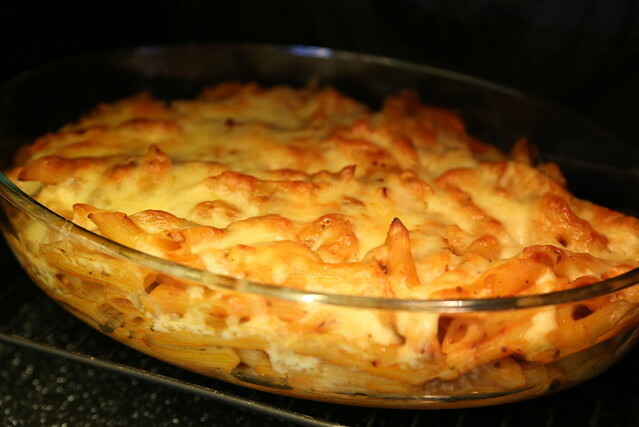 The pasta bake is ready to eat! 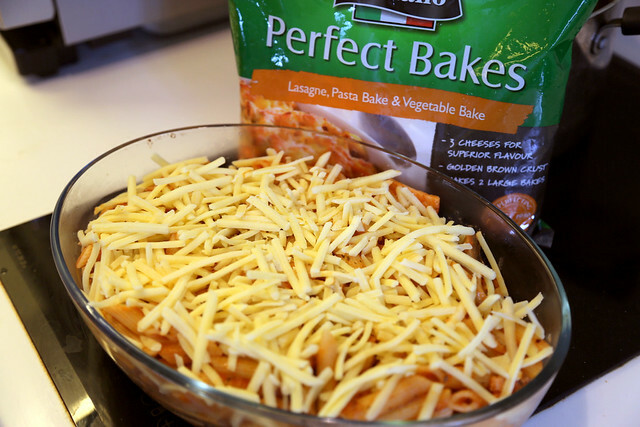 The Perfect Bakes does cook nicely without getting oily. It also browns beautifully. Normally I bake it for a bit longer for a deeper brown (I love "chao-tar" burnt bits), but decided to try this lighter brown this time. Oh nice, oh very nice, if I may say so myself. 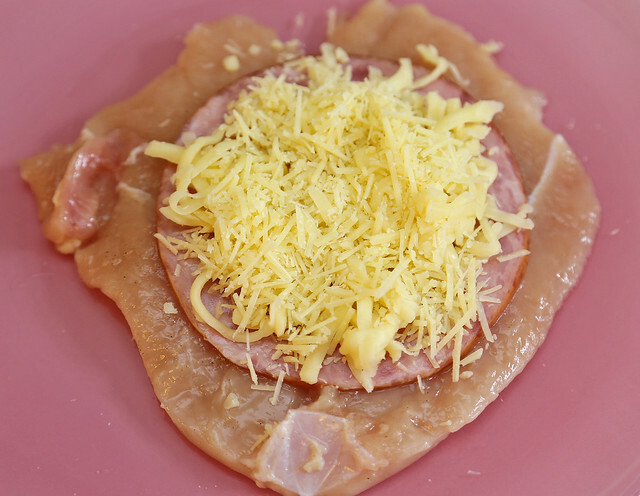 I realise I have never made Chicken Cordon Bleu before. I don't even order it in restaurants, as most times, it just fails to impress. But I surprised myself - I quite like the homemade version using this unbelievably easy recipe. All you need are chicken breasts, honey baked ham, cheeses, and stuff for breading (beaten egg, flour and breadcrumbs, plus toothpicks). 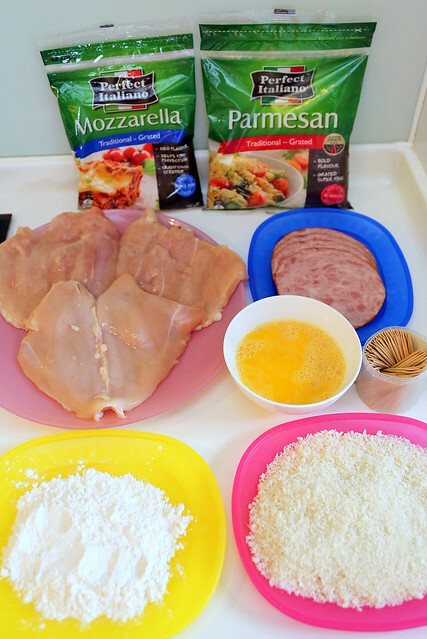 Place the slice of honey baked ham on top of the horizontally-halved chicken breast and top with Perfect Italiano Mozzarella and Parmesan. 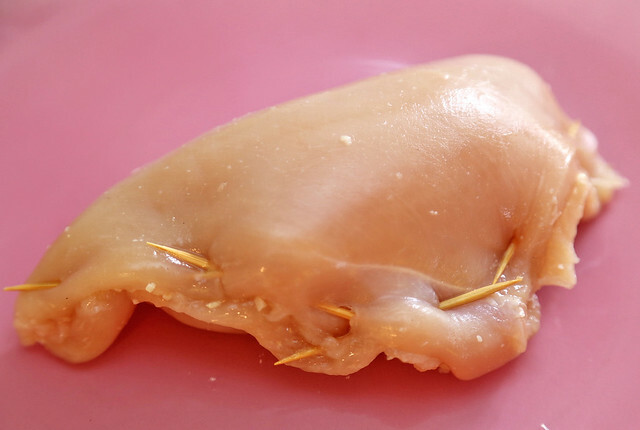 Fold the chicken breast over and secure with toothpicks. Dredge in flour, then in beaten egg and coat with breadcrumbs. 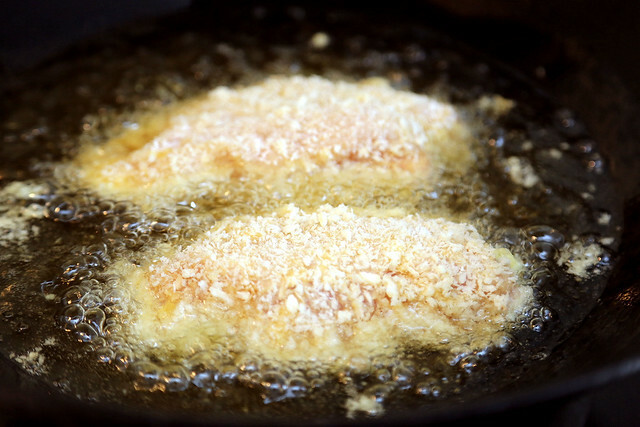 Deep-fry the breaded chicken. It cooks really quickly so just a few minutes will do. 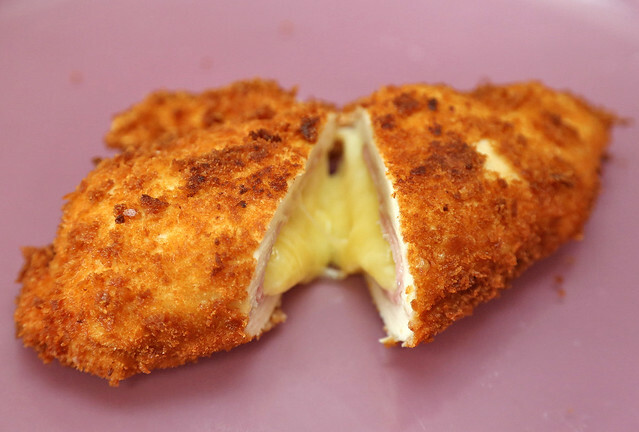 Mmmh, nice hot and crispy chicken with all that cheese oozing out. The kids certainly enjoyed this, despite a shaky tooth or two. "I want this one again." 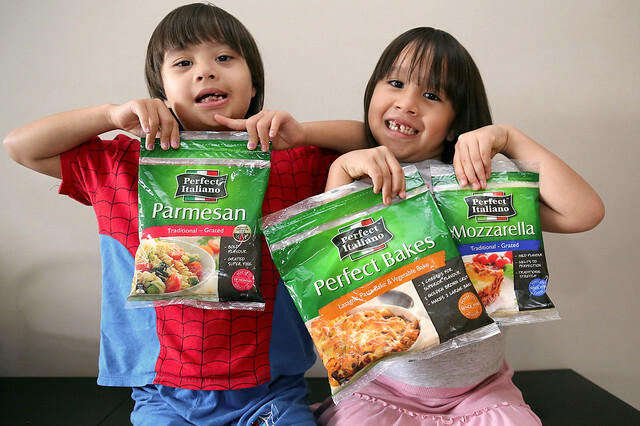 Perfect Italiano products are available at major supermarkets in Singapore. You can view the full range here. 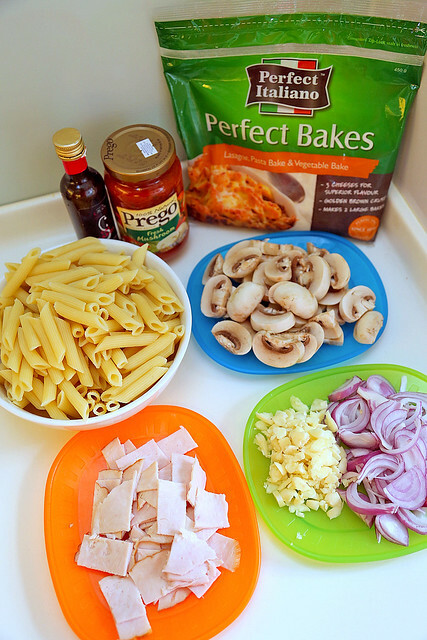 There are also plenty of other recipes to explore. Meanwhile, happy meal planning for the festive season, and advance wishes for a lovely Christmas 2013! If you're making any of the five festive dishes, you can share them on Instagram with hashtags #perfectitalianosg and #foodfixesin15 ! You can also follow @perfectitalianosg on Instagram too! 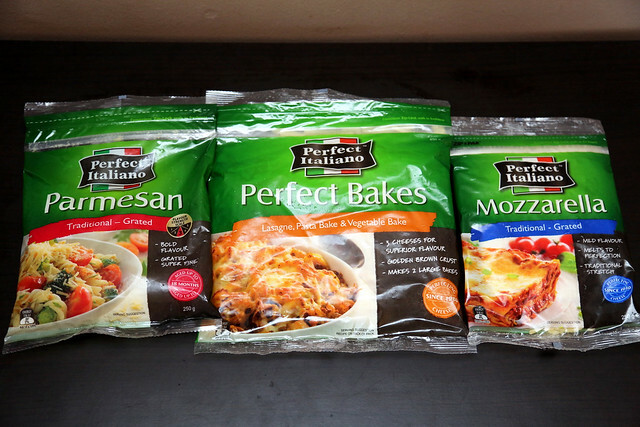 Thanks to Perfect Italiano for sponsoring this post and the products. My children have more to eat this Christmas!